In Flax Centre of Marichor location in Kaptagat hails Mrs. Sharon Kibor. She lives with her husband and their two children. Mrs Kibor is a farmer and is a beneficiary of a cook stove from Carbon Zero Kenya Ltd. Having used the cook stove for two years, she was delighted to narrate her experience to us. In her own words she says,”It is a personal testimony; I adore the stove not because you are here, but because I have tasted the good of its benefits. Earlier on, I used my traditional chepkube which consumed a lot of wood; the smoke choked my child who also developed an eyes ailment. I never thought of an alternative until I acquired the Carbon Zero Stove. Mrs Kibor is therefore grateful to Carbon Zero Kenya and CO2balance for helping conserve the environment through availing the energy efficient cook stoves which has helped improve life in her community. Many thanks goes to Virginia Njeri in telling us this story and for Mrs. Sharon Kibor for her time providing us with this feedback about the project. TRUE VALUE OF TREES TO YOU AND ME! The term “biodiversity” is used to describe the variety of life. This variety is what an ecosystem depends on. It is helpful to think of an ecosystem as a woven carpet; if you pull on a loose thread thinking that it might only affect the thread and those closest to it then you may be shocked as the single thread unravels the whole carpet. Trees are like natural air conditioners and water pumps. They cool the earth by giving shade and recycling water. By cooling the air and ground around them, the shade from trees helps cool the earth’s temperature overall. Trees also help moderate the earth’s rainfall, which also helps keep the temperature cooler. Every day we use or eat something that has come from a tree. Think about the paper we write on, the pencils we use and the furniture we sit on – they all came from trees. The uses of wood are virtually endless. In addition to being processed into products, trees are also cut down so their wood can be used as fuel to cook food and heat homes. This is where man begins abusing them badly. But we don’t always have to cut down a tree to be able to make something from it. The rubber that you find on soles of your shoes is made from sap that comes from a type of tree found in Brazil, India, China and Southeast Asia. Cork is the bark of the evergreen cork oak found in the Mediterranean region. Cork has the ability to contract when squeezed and then expand back out again. 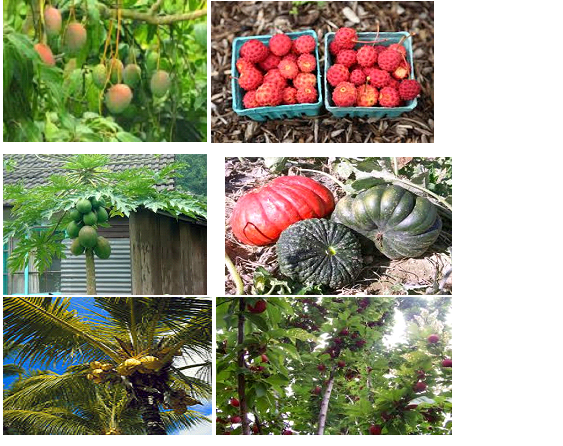 How many different fruits or nuts can you think of that come from trees? What about the maple syrup we like to eat on our pancakes? Sap is tapped from the sugar maple to make maple syrup. And did you know that cinnamon comes from the bark of a tree that grows in India? In short am saying that tress are so crucial to our lives that we need to protect them. At CARBON ZERO we do our best through the improved cook stoves that use less firewood thus saving forests. These cook stoves directly benefit both the forest’s fringe villages and the wildlife habitats. The good thing is that the people understand its values and have enthusiastically welcomed them. With improved cook stoves there is reduced amount of biomass harvested and therefore help conserve forests and their ecosystems. As you can probably tell from the important reasons that are stated above, the deforestation and destruction of the world’s forests and rainforests could have disastrous consequences for the planet Earth itself, the human race and all the other species that exist on this planet with us. This is why it is important that we try as hard as possible to stop the deforestation the planet’s forests. In Kaptagat area in the Rift Valley in Kenya speaking to the community members they say that a few years ago before they got energy efficient cook stoves form Carbon Zero Lessios forest (pictured above) was highly destroyed by villagers due to insatiable search for wood fuel. Many trees were cut down day in day out as families sort for a source of fuel. This threatened the forest existence. 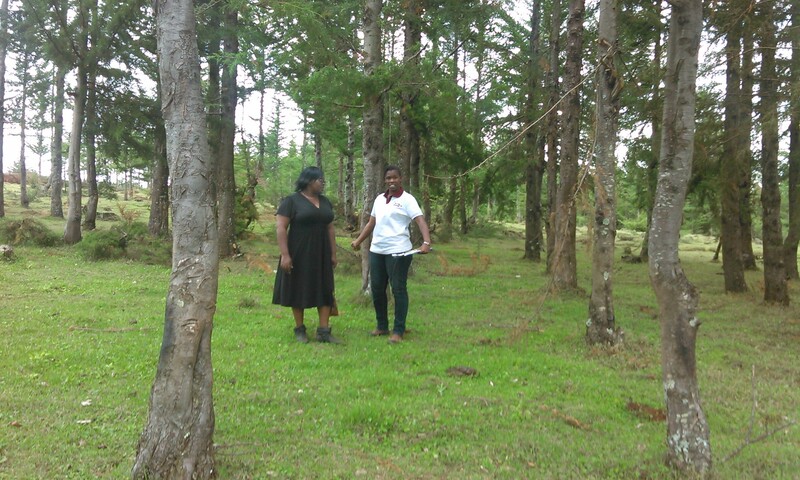 But the community members gladly indicate that after they received the stoves from Carbon Zero they have been able to save the forest as little wood is harvested. Last week was very busy and full of fieldwork for Carbon Zero team. 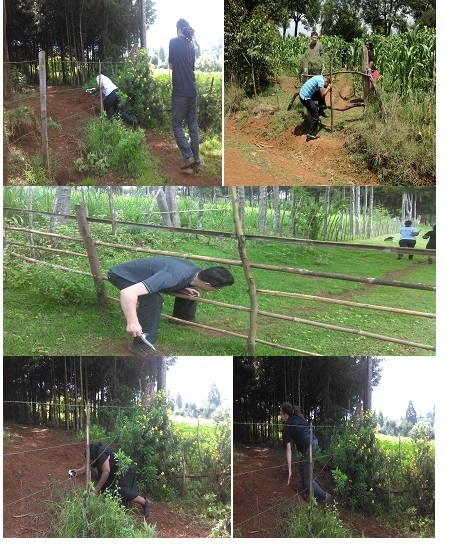 We were out in the field doing verification for our two CDM projects in Kenya that is in Mathira in Nyeri and Kaptagat in Eldoret. Glad that all went well during the verification process. The field work was characterized by tough walking, climbing hilly terrains, climbing and crossing fences to access the required households. It was a nice experience meeting Carbon Zero cook stove beneficiaries and listen to them share their testimonies regarding the stove. All the visited beneficiaries were glad and praised the stove especially on its high level of efficiency and fuel consumption. Many indicated that Carbon Zero stoves use less wood thus loggers have less demand so less trees are being logged. And over time this has increased vegetation cover. They also noted that most families pay to purchase wood as cooking fuel and now with a less need for wood, family income have increased. Some families indicated that typical stoves (three stone cook stoves) release clouds of toxic smoke into the home as there is no ‘chimney’ or exhaust tube something that Carbon Zero stoves have been of great help as they have drastically reduced particulates, which means that the families using them have better health than otherwise. Many also pointed at the fact Carbon Zero stoves cook faster thus allowing women to venture into other income generating activities while at the same time giving women time to take care of their families.